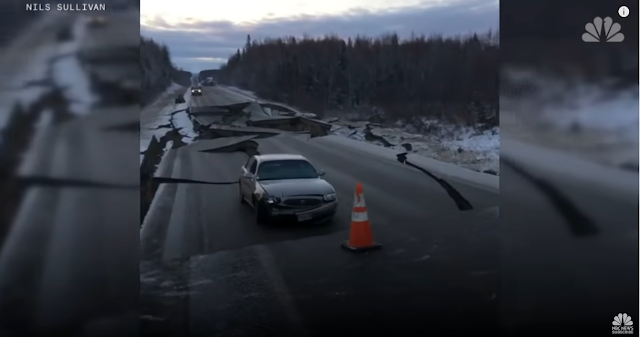 More than 1,000 aftershocks of magnitude 1.5 or greater have shaken Alaska since Friday's big quake knocked out power, ripped open roads and splintered buildings in Anchorage, US Geological Survey geophysicist Randy Baldwin said Sunday. The majority were of a magnitude of 2.5 or weaker, meaning they weren't likely felt. But more than 350 of the aftershocks were higher than 2.5, according to USGS data. Still, local officials said life was returning to normal after Friday's magnitude 7 earthquake, even as 4 to 8 inches of snow was expected Sunday. "This is the second-largest earthquake we've had since 1964, which was a very significant earthquake," Anchorage Mayor Ethan Berkowitz told reporters Saturday, referring to the 9.2 quake that was the most powerful recorded in US history. "In terms of a disaster, I think it says more about who we are than what we suffered," Berkowitz said. "I would characterize this as a demonstration that Anchorage is prepared for these kind of emergencies." No fatalities or serious injuries were reported, officials said. In Alaska's largest city -- with a population of about 300,000 -- airports, hospitals, emergency services and most businesses were operating. "The power is up. The heat is on. The communication lines are opening," said Anchorage Municipal Manager Bill Falsey. "That would have given people a shake and probably a bit of a scare given what they went through yesterday," he told CNN. "The most striking thing about this event was that it was so close to Anchorage," Hayes said. "That's why it has caused the damage that we're seeing." The earthquake was not unusual for the region and probably wouldn't have received much attention had it not struck so close to town, he said. "It was very loud when it came," Berkowitz said Friday. "It was very clear that this was something bigger than what we normally experience. We live in earthquake country ... but this was a big one." Palmer resident Kristin Dossett described the initial jolt as "absolutely terrifying." 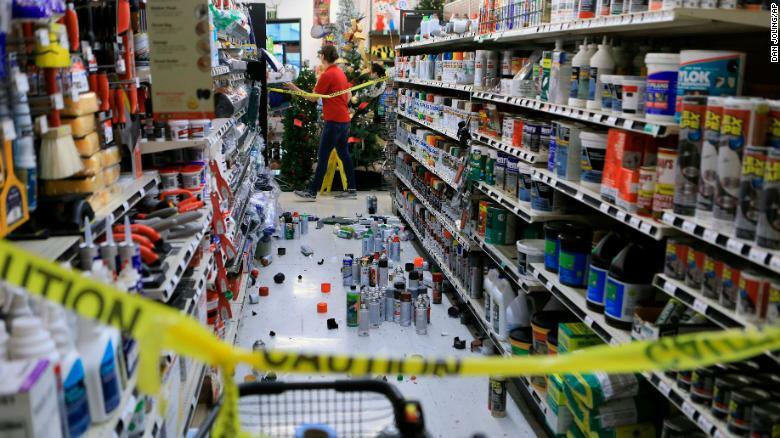 An employee walks past a damaged aisle in an Anchorage store after the earthquake. Authorities don't have firm figures on damage yet, though the Anchorage Police Department reported "major infrastructure damage" around the city. Helicopters and drones were assessing infrastructure across the region. There were no reports of missing people, authorities saidala. 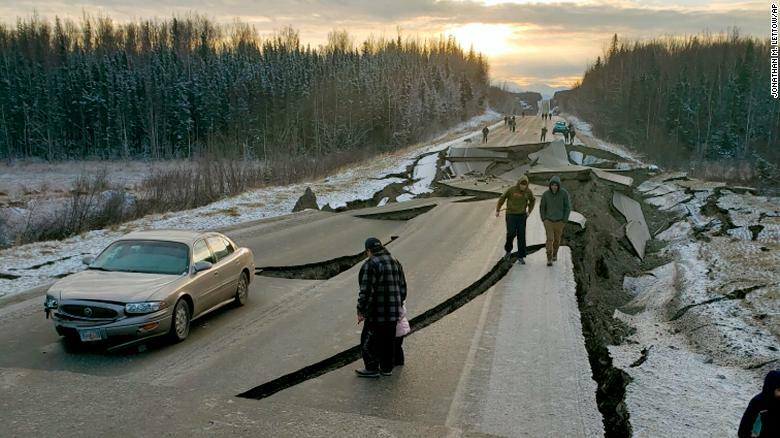 People walk along a road in Wasilla after Friday's earthquake. CNN's Sheena Jones, Amanda Watts, Dakin Andone, Shawn Nottingham, Chuck Johnston, Keith Allen and Matthew Hilk contributed to this report.